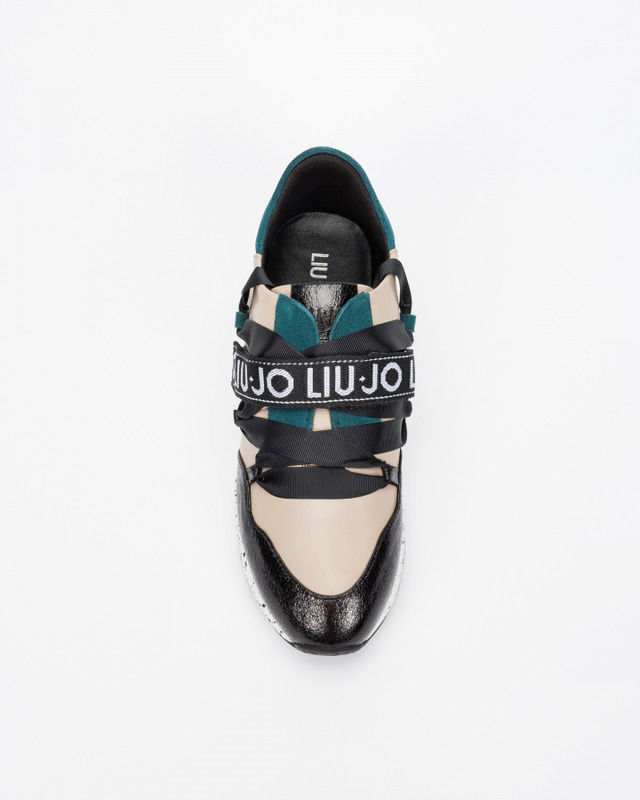 Italian brand Liu-Jo Karlie 03 sporty shoes for women in beige, black and silver leather, green suede and black fabric. Leather insole, fabric lining and rubber sole with 4 cm in the back. Velcro strap.